Dracaena draco- Dracaena draco, also known as the dragon tree, is a tree endemic to the arid, rocky mountain ranges of the Canary Islands, Madeira, and Cape Verde. Though the dragon tree is commonly cultivated as a houseplant and garden specimen, there are very few naturally-occurring individuals remaining in its narrow ecological range. 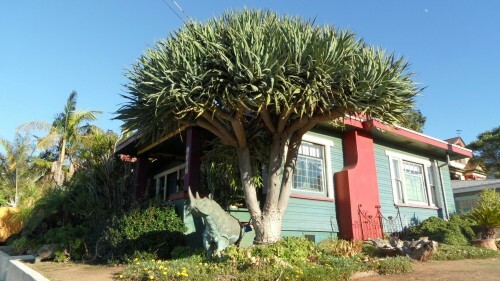 The dark red sap of Dracaena draco was regarded for centuries in European legends as “the blood of dragons”, and was often used for its supposed magical and medicinal qualities. This resin is still used today to produce incense and varnishes used to stain and polish wood.